Classic cars are considered as some of the most valuable cars and they are also ranked in the most expensive cars of all time. All the cars are manufactured on the same basic technology, so what makes some of them so special and expensive? There are many factors responsible for the price of auctioned cars such as unique design, low manufacturing units, demand and other best features at the time of manufacturing. The following list contains only classic and powerful cars which were built between 1930s and 2000s. It includes the current price of auction including the buyer’s premium. Here are the 15 most expensive classic cars of all time. The Aston Martin DBR2 is a sports car built in 1957 and designed by Ted Cutting. It is a limited production car and only six prototypes were built. It is powered by an Aston Martin 4164 cc engine with five speed manual transmission. This car was initially designed for racing and won the Sussex Trophy and British Empire Trophy in 1958. The Mercedes-Benz 500K is a powerful classic car built in 1934. At that time, it was considered as the most powerful car with 5000 cc and 5L eight-cylinder engine. Only 29 500K Roadster was built and today, these cars remain high prized for their scarcity and unique design. All cars have many advanced features of that time including hydraulic brakes, safety glass and power window. The Bugatti Royale is a two-seater luxury car. Ettore Bugatti (founder of Bugatti) planned to manufacture twenty-five cars but he was able to build only six cars due to financial depression in Europe. This car boasts 12760 cc and 12.7 L eight cylinder engine which weighs over 3100 kg. This makes it one of the heaviest cars in the world. The Alfa Romeo 8C Monza was a popular racing and sports car in the 1930s. The 8C in the name means eight cylinders. This car boasts 2.3 L 2300 cc engine and it was designed by Vittorio Jano. It was initially designed as a single racing car but later 188 more units were produced for public use. The McLaren F1 is a sports car, manufactured by McLaren Automobiles between 1992 and 1998. The McLaren F1 is considered as one of the finest cars ever built. Only 106 F1 cars were manufactured and all of them have some variation in the design. It was also ranked as the world’s fastest car for many years with the highest speed of 391 km/h. The Ford GT40 is a high performance classic car, manufactured between 1964 and 1969. Its name is short for Grand Touring and 40 represent its 40 inches height. It is a limited edition car and only 107 units were built. All cars are categorized as group 4 and group 6. Group 4 cars have 4100 cc eight cylinders engine and group 6 cars have 6997 cc eight cylinder engine. 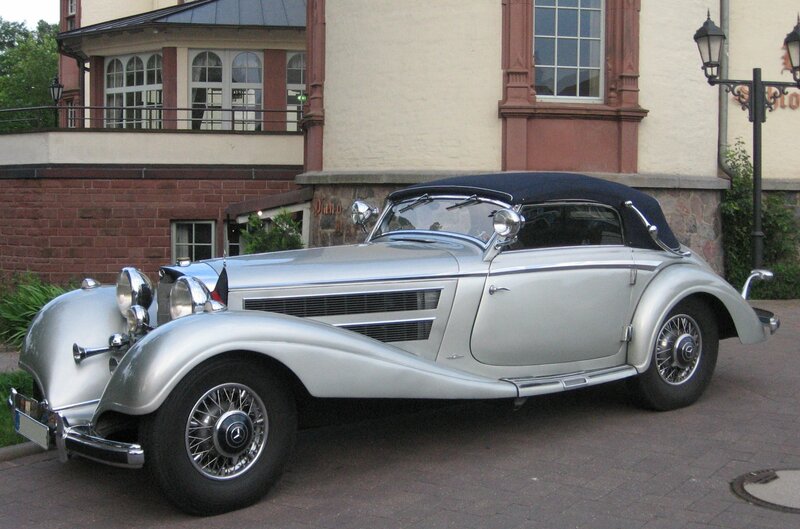 Mercedes-Benz 540K is a special classic car which was manufactured between 1936 and 1940. Only 70 chassis were ever built by 1500 employed people. They are categorized as four seater, two seater and seven seater limousine and all cars have 5400 cc eight cylinder engine that has a top speed of 170 km/h. The Ferrari 250 LM was first introduced to the racing in 1963. Around 32 cars were built and all are powered by 3.3 L 320 HP engine. It is considered as one of the best racing cars in the world. In 1965, it won the 24 Hours of Le Mans and several other world racing events. Ferrari introduced the 250 GT SWB California Spider in 1959 and later, built 55 more cars. It is powered by a 3.0 L V12 engine that produce a power of 276 HP. It was also featured in a film in 1986 due to its classic and elegant design. The Bugatti Royale Kellner Coupe is the fifth car of Bugatti Royale which was manufactured in the early 1930s. During the World War II, it was kept hidden for many years to avoid being seized by Nazis. In 1987, it was owned by a Swedish property developer, Hans Thulin and in 1990, he sold it to an unknown Japanese businessman. The Ferrari 250 Testa Rossa was specially built for racing in 1957. Only 21 cars were built with slight variation in the design. It boasts a 2953 cc twelve cylinder engine with four speed manual transmission. In the 1960s, this car was considered a normal racing car, but later, it gained popularity due to elegant design and rarity. The Ferrari 375 Plus Spider is an exclusive car with a big engine which was produced in 1954. It runs on a twelve cylinder engine which has 4954 cc of power. Its engine generates 347 HP which provides a top speed of 300 km/h. It was a racing car from the factory of Ferrari and won the Mille Miglia and 24 Hours of Le Mans. The Ferrari 275 GTB was a series of two seater racing cars produced between 1964 and 1968. The total of 970 cars was built and only 12 cars were built as GTB/C Special. All cars have a 3.3 L (3286 cc) twelve cylinder engine that produces a maximum power of 300 HP. It was 150 kg less than other models of that time, which makes it one of the best racing cars of Ferrari. The Mercedes-Benz W196 was the first Mercedes-Benz Formula One car which entered in the 1954 and 1955 racing season. Out of 12 races, it won 9 races in the F1 season and two others Driver’s Championships. Initially, it was equipped with 2500 cc and straight eight cylinders that produce the maximum power of 257 HP. Later, the specifications were changed several times, according to the race. The Ferrari 250 GTO was specially designed as a racing car which boasts a 3.0 L V12 engine that generate the maximum power of 300 HP. Only 39 cars were manufactured between 1962 and 1964. In 2004, the Motor Trend Classic ranked the Ferrari 250 GTO as the greatest Ferrari of all time. Recently on 14th August 2014, it was sold for the record broke price of over $38 million, making it the most expensive car ever sold in the history of automobiles.